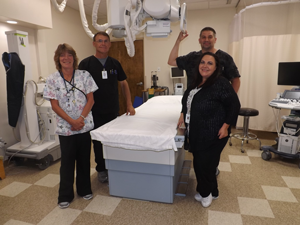 Southeast Colorado Hospital District's diagnostic imaging team cares about your image. 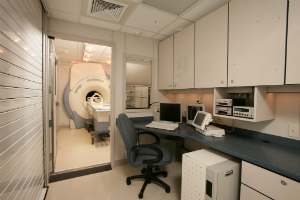 Diagnostic Imaging includes general diagnostic X-rays, CT scans (computed tomography), MRI scans (magnetic resonance imaging), and ultrasound. Radiologic Technologists are available during regular office hours and are also on-call for emergencies. CT scans and x-rays are interpreted by a licensed radiologist who is available to read studies electronically. All exams are sent by high-speed computer connection to Cheyenne Radiology Group, Cheyenne Wyoming where the images are interpreted and a report is generated. In most cases a report will be available to your provider in less than one hour. A radiograph (X-Ray) is a traditional, painless and highly effective medical test that uses radiation to produce images of the body. This procedure is commonly used to detect fractured bones as well as abnormalities of the internal organs. Southeast Colorado Hospital District's (SECHD) investment in computed radiology (CR) and its Picture Archiving and Communication System (PACS) allow all radiological images to be both stored and accessed electronically. Images needed by other facilities and providers are presented on a CD. 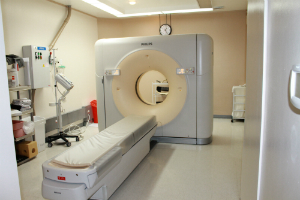 Our MRI service is provided by Shared Medical Services on Mondays starting at 4:00 pm. If you have an order for an MRI please call (719) 523-2136 and we will gladly help you schedule the test. Computed Tomography (CT) uses a series of X-Rays to produce detailed cross-sectional images - or slices- of the body's internal structures. With an extremely high resolution, our new Philips Brilliance 16 slice CT scanner provides fast scan times, detailed images, and an array of features to minimize radiation dose. This medical imaging technology is crucial in helping our providers quickly get an accurate diagnosis. SECHD provides general and cardiac Ultrasound services three times per month through Ultra Imaging. If you have an order for an Ultrasound please call the Rural Health Clinic scheduler at (719) 523-2136. Radiology is open between 8:00 a.m. and 5:00 p.m. Monday through Friday. Our technologists are on call for emergencies 24 hours 7 days a week. If you have an order for an imaging study or a question about our services, please call us at (719) 523-2136 and we will be happy to assist you.